Election Commission has appealed citizens, political parties and media to check voters' details and apply for any correction if required. People can change their constituency area or make any other correction before the announcement of general elections. 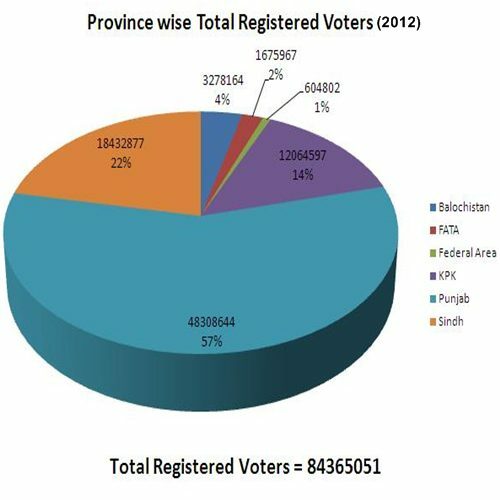 According to FER (Final Electoral Rolls) 2012, there are 84.36 million registered voters in Pakistan. Among these 47.77 million (56.6%) are male while 36.59 millions (43.4%) are female voters. Here is province/ territory wise breakdown of male and female voters. See following table for age-wise distribution of voters.